Swedish electro rising star Adrian Lux is back with a new single, “Boy”, released last June on New York independent dance music label Ultra Records, featuring remixes by Hardwell, Nause and French electro duo Beataucue. Last February, Lux became the first Swedish artist to sign an exclusive album deal with Ultra Records, thereby joining world-class dance acts such as Basement Jaxx, Calvin Harris, Benny Benassi and Deadmau5. You might remember his club hit “Can’t Sleep”, which was featured here just about a year ago. Well, Adrian is no one-hit wonder and he’s got plenty more nice tunes in his catalogue, starting with his super catchy new smash single. And if you too are addicted to the young Swede’s warm beats and grandios arrangements, you will be thrilled with Beataucue’s rework of the new single. The remix magnifies the song and turns it into a real club banger! 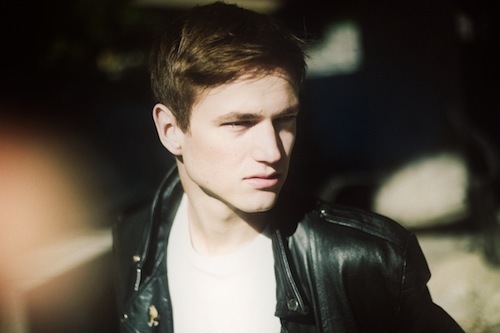 i love adrian lux you are my blue prince i love your songs. Avicii is my green prince….